Essential for a good housekeeping are the clean carpets. They are, in fact, one of the most important parts of furniture, and as we all know, maintaining them clean is a real hassle due to many reasons such as time and money. I could offer some simple steps in order to help you keep your carpet clean. 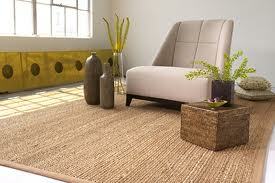 First, a way to keep the carpet clean is logically to prevent the dirt from transferring onto it. This could happen by using doormats which must be used before any transition from hard surface, which often contains dust and soil, to the carpet. Removing the outdoor footwear before entering the carpeted area should be a must for any housekeeper. This should be established as a rule in order to prevent the carpet from needing a professional carpet cleaning services. The best advice/tip for carpet cleaning is to use a vacuum cleaner. This is the easiest way to clean the dirt out of the carpet. Dealing with spills or stains is the worst matter. This requires chemical usage which except environmentally unfriendly are bad for the health. Dealing with them requires carefulness ,and of course, is time consuming. 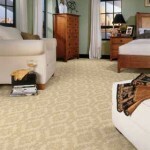 The best way is to use carpet cleaning services which nowadays are offered to your door. You do not need to buy harsh chemical stain removers, to waste time and efforts. Carpets benefit from periodic cleaning but this happens depending on the budget. How to Clean a TV Set?